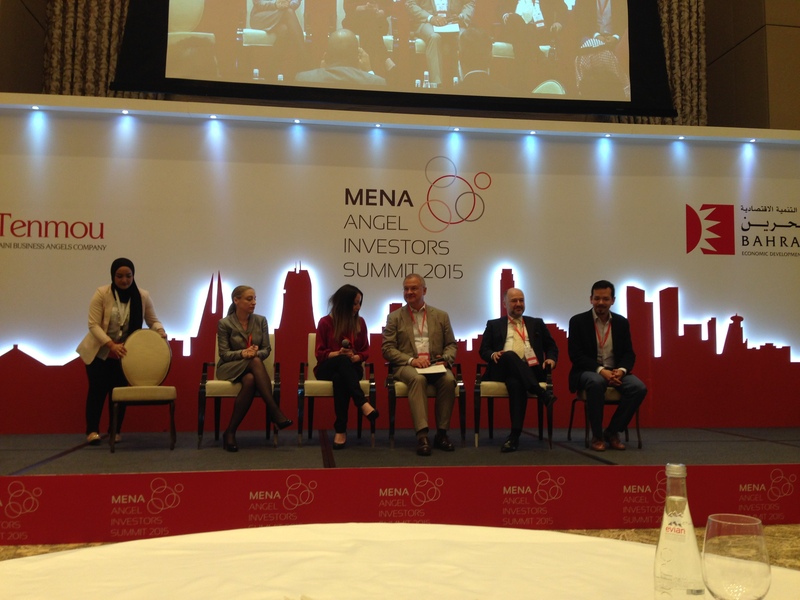 On the 11th and 12th of May, I was in Bahrain to participate in the MENA Angel Investment Summit as a speaker on the Global Perspectives of the Angel Investment panel. The Summit, which hosted more than 200 angel investors and entrepreneurs, was organised by the Bahraini Business Angels Network (TENMOU) and the Bahrain Economic Development Board (BEDB). Hasan Haider of TENMOU was the Chairman of the forum. I was able to listen to the pitches of 40 entrepreneurs from the region, including Bahrain, Saudi Arabia, Kuwait, Qatar, Jordan, Egypt, UAE, Lebanon, Morocco, Palestine and Turkey. This was my third time in Bahrain and it was clear to me that the country’s entrepreneurship and angel investment ecosystem was developing rapidly. I noted that Hasan Haider of Bahrain is on his way to becoming the global voice of the country’s early stage investment market. The most important development of this event was the launch of the MENA Angel Investor Network (MAIN) with the participation of networks from Bahrain, Egypt, UAE, Jordan, Morocco and Saudi Arabia. With its headquarters in Bahrain, MAIN aims to develop an open dialogue among angel groups in the region. 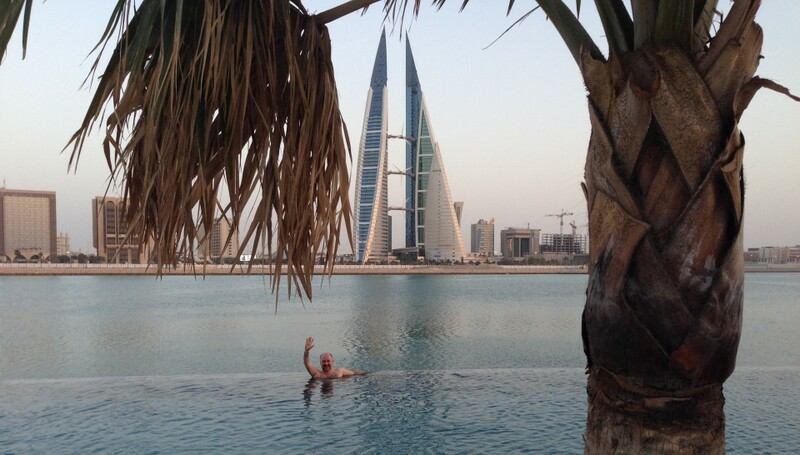 Such initiatives are turning Bahrain into a regional hub in this particular part of the world. According to a January 2006 report by the United Nations Economic and Social Commission for Western Asia, Bahrain has the fastest growing economy in the Arab world. Bahrain also has the freest economy in the Middle East and is the twelfth freest overall in the world, based on the 2011 Index of Economic Freedom published by the Heritage Foundation and the Wall Street Journal. In 2008, Bahrain was named the world’s fastest growing financial centre by the City of London’s Global Financial Centres Index. Bahrain’s banking and financial services sectors, particularly Islamic banking, have benefited from the regional boom driven by demand for oil. Petroleum — production and processing — is Bahrain’s most exported product, accounting for 60% of export receipts, 70% of government revenues, and 11% of GDP. Aluminium production is the second most exported product, followed by finance and construction materials. Economic conditions have fluctuated with the changing price of oil since 1985 — for example, during and following the Gulf crisis of 1990–91. With its highly developed communication and transport facilities, Bahrain is home to a number of multinational firms, and construction proceeds on several major industrial projects. A significant proportion of exports comes from petroleum products made from imported crude oil, which accounted for 51% of the country’s imports in 2007. Bahrain depends heavily on food imports to feed its growing population; it relies heavily on meat imports from Australia and also imports 75% of its total fruit consumption needs. Since only 2.9% of the country’s land is arable, agriculture contributes to 0.5% of Bahrain’s GDP. In 2004, Bahrain signed the US-Bahrain Free Trade Agreement, which reduced certain trade barriers between the two nations. Due to the combination of the global financial crisis and the recent unrest, the growth rate decreased to 2.2%, which is the lowest growth rate since 1994. Unemployment, especially among the young, and the depletion of both oil and underground water resources are major long-term economic problems. In 2008, the jobless figure was at 4%, with women over-represented at 85% of the total. In 2007 Bahrain became the first Arab country to institute unemployment benefits as part of a series of labour reforms instigated by the Minister of Labour, Dr Majeed Al Alawi. Manama is the focal point of the Bahraini economy. While petroleum has decreased in importance in recent years due to depleting reserves and growth in other industries, it is still the mainstay of the economy. Heavy industry (e.g. aluminium smelting, ship repair), banking and finance, and tourism are among the industries that have experienced recent growth. 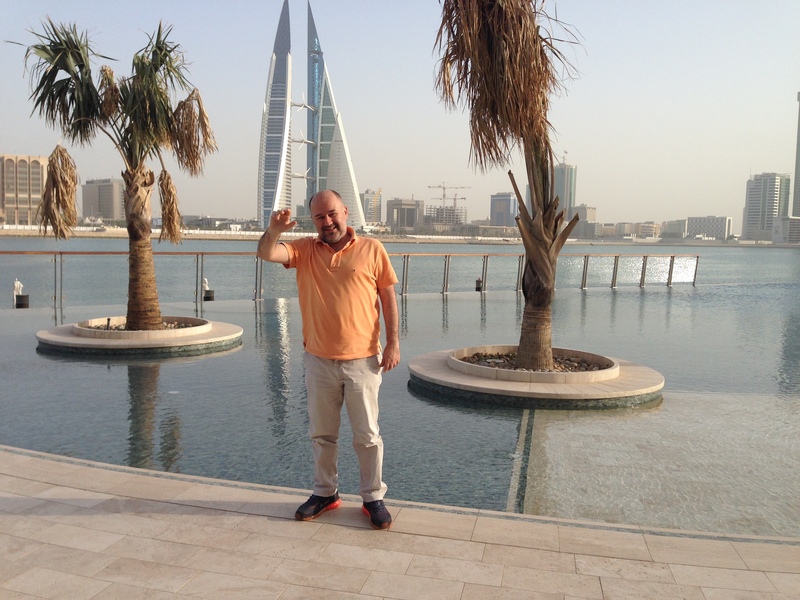 Several multinationals have facilities and offices in and around Manama. The primary industry in Manama itself is financial services, with over two hundred financial institutions and banks based in the CBD and the Diplomatic Area. Manama is a financial hub for the Gulf region and a centre of Islamic banking. There is also a large retail sector in the shopping malls around Seef, while the centre of Manama is dominated by small workshops and traders. Historically, the ports at Manama have had a poor reputation. In 1911 the British described the ports’ importing systems as ‘very bad – goods were exposed to the weather and there were long delays in delivery’. Indians began maintaining the ports and new resources were built on site, improving the situation. As of 1920, Manama was one of the main exporters of Bahrain pearls, attracting steamships from India. During this time, they also imported goods from India and from other countries in the region. They imported rice, textiles, ghee, coffee, dates, tea, tobacco, fuel, and livestock. They exported less of a variety, with focus on pearls, oysters, and sailcloth. For the year of 1911–12, Manama was visited by 52 steamships, the majority being British and the rest Turkish-Arabian. 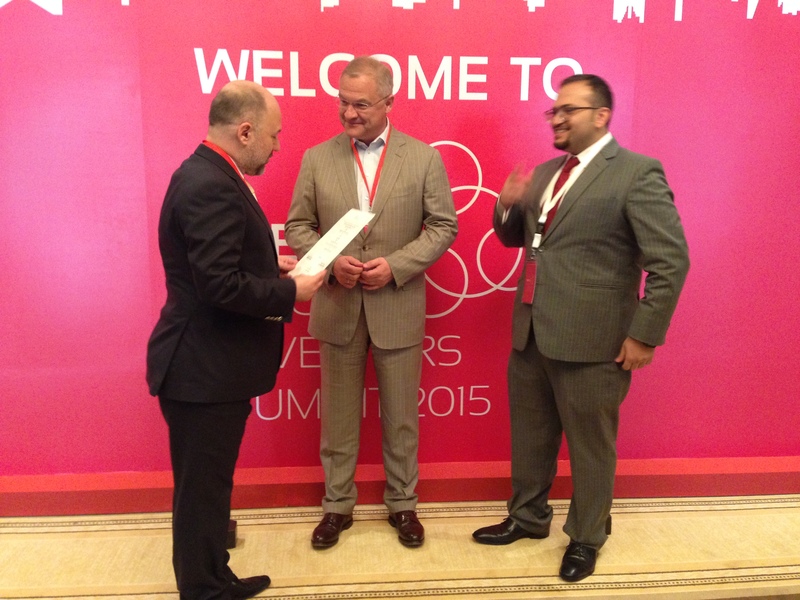 TENMOU is the first business angels company of Bahrain. It is an enterprise focused on Bahraini entrepreneurs. Established by private Bahraini investors who are passionate about business and who are also successful entrepreneurs in their own right, it is also supported by the Bahrain Economic Development Board and government-owned institutions. TENMOU assists start-ups in four core areas: funding, set-up, mentorship and investors. Hasan Haider is the leader of TENMOU and was a key person in the success of the event. He was also featured in a case study described in Creating Your Own Angel Investor Group: A Guide for Emerging and Frontier Markets, a publication of the World Bank and the Kauffman Foundation. 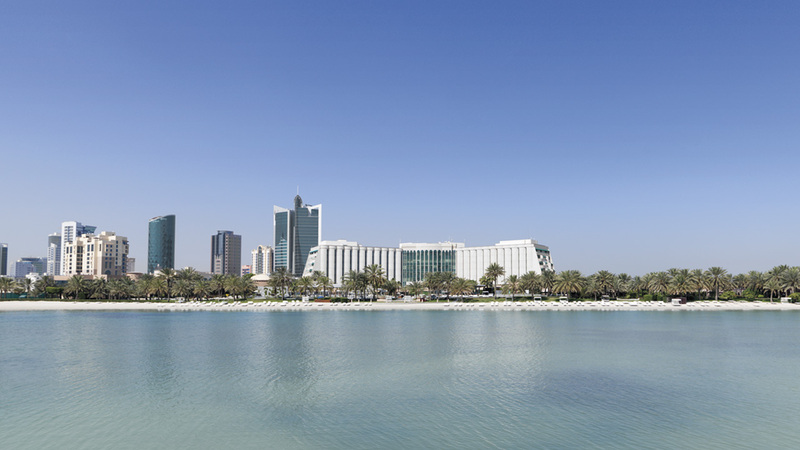 The Bahrain Economic Development Board, the co-organizer of the Summit, is the main body on the island dealing with Bahrain’s Economic Vision 2030. 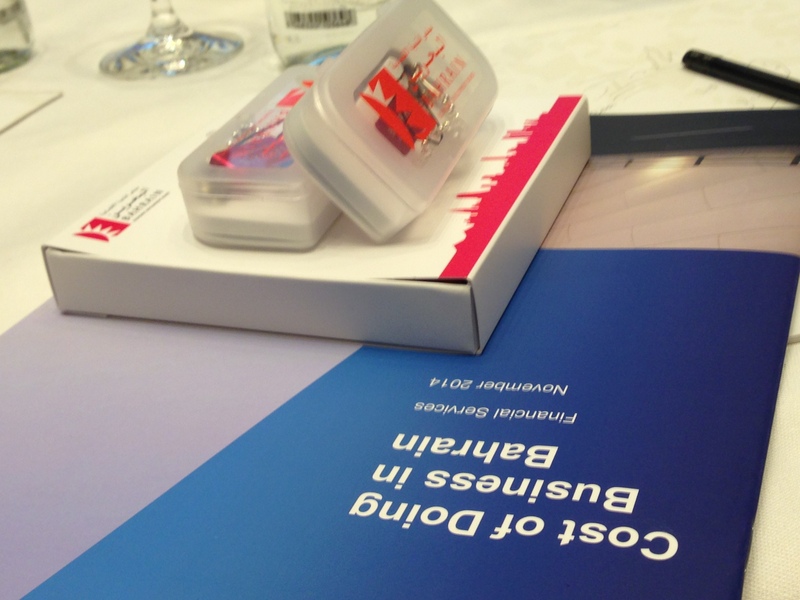 It is a semi-governmental organization leading the Invest In Bahrain programme. They regard foreign investment as key to the Economic Vision 2030 long-term plan for improving the competitiveness of the Bahrain economy, creating skilled jobs for Bahrainis and enhancing living standards. For this reason, they are committed to building on the existing advantages, aiming to build the Middle East’s most attractive centre for business. Around 10 a.m. in Eindhoven, after having a very nice breakfast across the street from the hotel, I took a taxi from my hotel (the Glow Hotel). After a 5-minute drive, I was at the train station to catch a train to the Amsterdam Schiphol airport. It is a very nice 1.5-hour train trip which treats you to long stretches of green fields and farms. I got a business class ticket, thinking I would enjoy the trip more that way, but you don’t really need to do that because I couldn’t see any difference between the business and regular compartments of the train, except for the price. The last station is inside the airport, so it is very easy to get to the check in counters. I had a 2.30 a.m. flight to Bahrain via Istanbul. Turkish Airlines had the best connection, just a 60-minute layover at the Istanbul airport before taking the connecting flight to Bahrain. On my flight from Amsterdam to Istanbul, I completed my Brussels Notes and during the flight from Istanbul to Bahrain I completed my Eindhoven Notes. 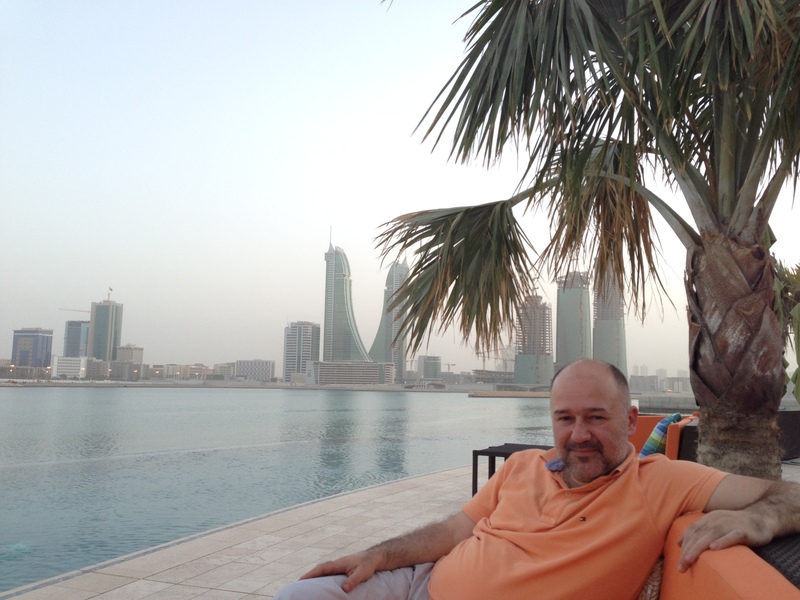 I also found time on the Bahrain flight to complete a 12-page interview for the Albania Business Review, a monthly economy magazine in Tirana. 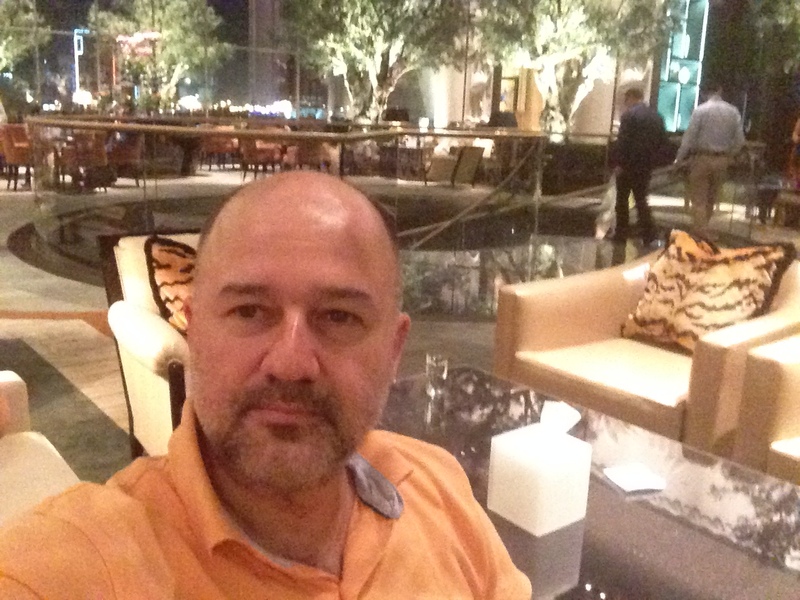 Around 1.30 a.m. Sunday morning (night), I arrived at the Bahrain airport. This time, I had to get a visa on arrival because of the expiration date of my passport. Until then, I had been sent the visa by email but now it was something that I had to do airport. It took just 5 minutes to get through the passport control, and the visa cost 75 USD. A transfer guide was waiting for me at the airport, so I didn’t spend any time there. I was shocked by the temperature when I stepped outside of the airport — 32 degrees in the middle of the night! 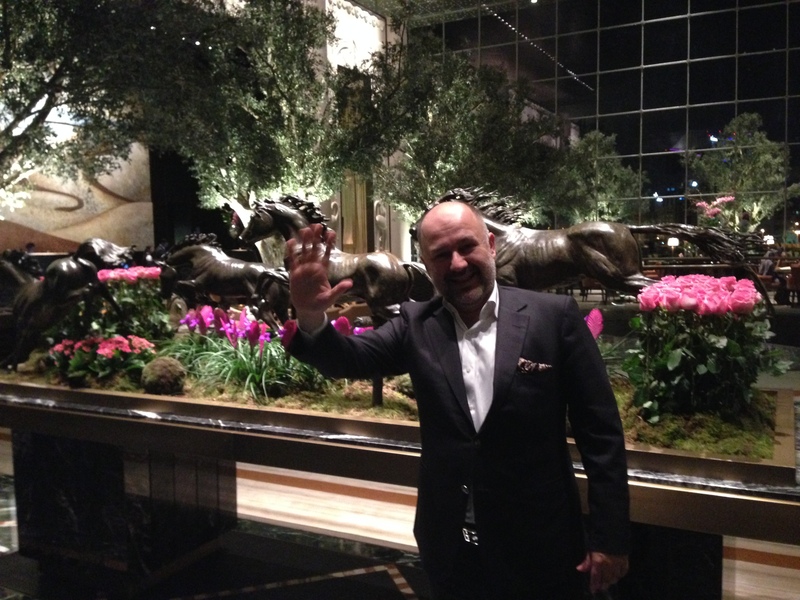 The event was organised at the Four Seasons Hotel — a superb 5- star hotel opened just a month earlier. My room had an excellent bay view. I strongly advise you to put this hotel on your must-stay list. Once you have stayed there, you will understand why. After a nice long sleep I got up a bit late, so I wasn’t able to join the sightseeing tour organised by TENMOU for international visitors. Peter Braun, from the EBAN Board, called me in the morning to ask if I was coming on the tour, but I just couldn’t do it. Anyway, I had taken the same tour last year. After I got up, the first thing I did was to phone my mother for Mother’s Day. In the evening, there was a VIP dinner from 7 to 10 p.m., where I enjoyed the marvellous restaurant and took advantage of the opportunity to get to know the international speakers of the event. The most interesting international visitors were from Dubai. Leslie, Sheli and Uman, the co-founders of the first Women Angel Investors Network of the region, were participating in this year’s investment forum with great energy. 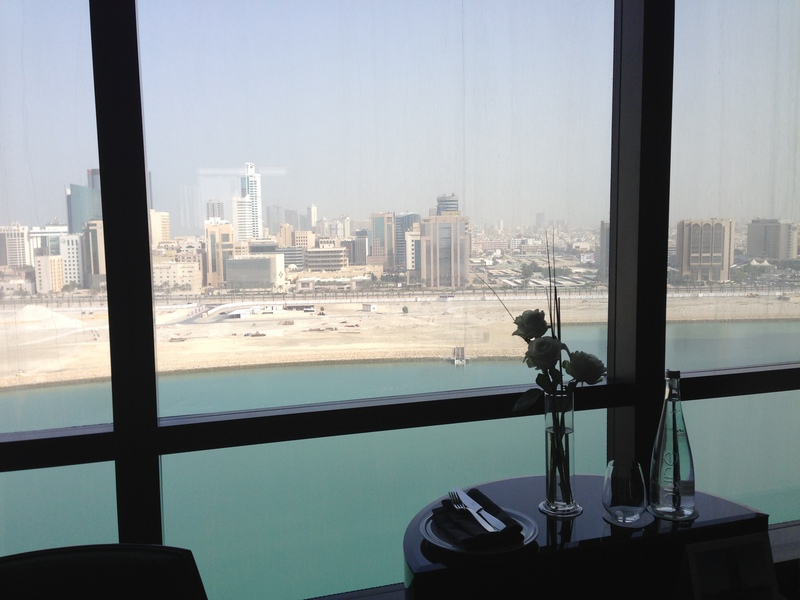 If you visit Bahrain, do treat yourself to a meal in the special restaurant of the Four Seasons Hotel. I had to leave the dinner around 11 p.m. because I needed to check my presentation to be sure everything was working properly. The day’s programme started around 9 a.m. with the opening speech of Hasan Haider. We then listened to the pitches of entrepreneurs who had come to this investment forum from all over the region. There was even a Turkish entrepreneur pitching in the event. 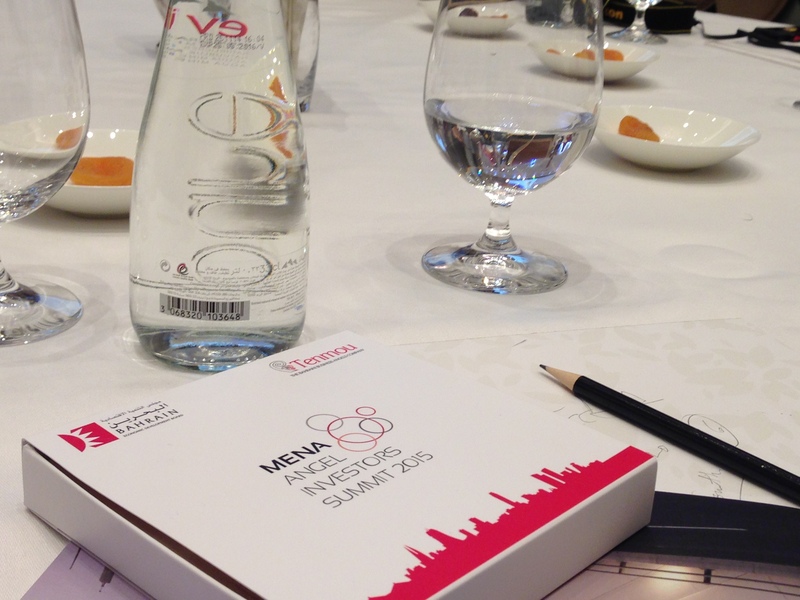 It was really a MENA summit. Burak Buyukdemir, who is the founder and leader of Start-up Turkey, was also at the summit to catch the best start-ups of MENA. Burak is a very nice guy with a global perspective and who is passionate about developing the start-up ecosystem in Turkey. At lunchtime, I met with John Taylor from CRS – CharlesRussell Speechlys to discuss Islamic finance. 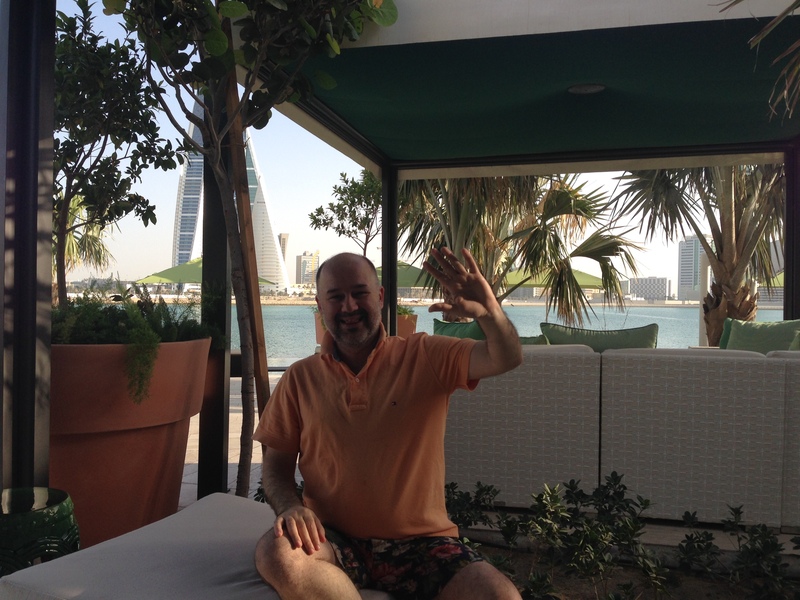 John is a British expat who has been living in Bahrain for many years and I am sure I will learn from him and his network about Islamic finance issues. After lunch there were two panel sessions where international speakers were invited to share their know-how with the angel investors and entrepreneurs. I was invited to become a panel speaker for the second panel, which would run from 3 to 4 p.m. It was a long day with a heavy programme but it was very enjoyable. 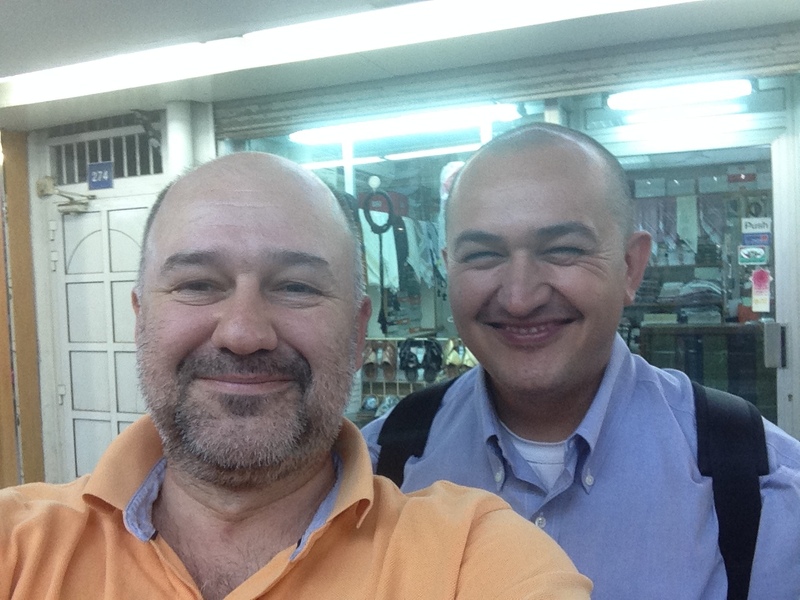 It is always interesting to see more entrepreneurs from different countries. Just 48 hours before, in Eindhoven, I had listened to pitches of entrepreneurs from all over Europe and now in Manama was listening to the pitches of entrepreneurs from all over the Middle East and North Africa! The first day’s programme ended around 5 p.m. and I had 90 minutes to rest a bit at the marvellous swimming pool of the hotel, where I had a nice chat with Peter Braun before I went up my room to get ready for the gala dinner. During the coffee break I talked with the editor of the Gulf Business news magazine and agreed to send an article on social entrepreneurship for the July issue. Jessica had interviewed me last year on angel investment and her interview with me was the main interview in the magazine’s June 2014 issue, which you can enjoy here. Everybody was ready at the lobby for the bus transfer to the dinner venue, which was just 15 minutes away. 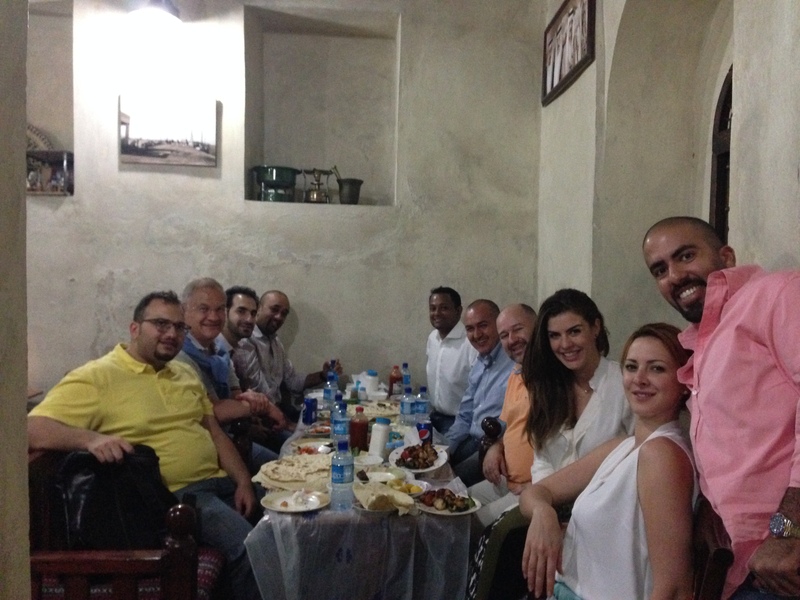 We all enjoyed the delicious Bahrain cuisine and chatted with our new friends from all over the world. After a few hours, we were on our way back to the hotel. 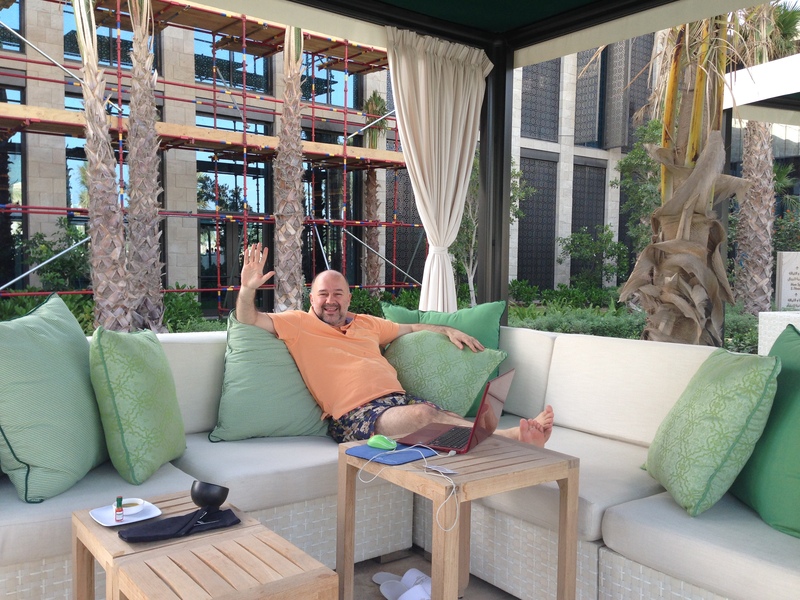 Around 11 p.m., Peter and I went down to the pool area to chat and enjoy a cold drink. Then it was time to sleep. But I had a real problem that night. I don’t know why, but I couldn’t get to sleep and was still awake at 5 a.m. I was very tired but couldn’t sleep. I think it may have been that the weather was a little bit hot, and because I never use air-conditioning (to avoid getting ill), the heat was probably the reason. At last I managed to get to sleep around 5 a.m. and got up around 10.30. Because I got up late, I missed the shuttle to the venue on the second day, so I took a taxi and arrived there a few hours after the activities had started. The programme was at the Capitol Hall for one-to-one meetings with entrepreneurs. We would also listen to a panel organised by the Bahrain Economic Development Board to give us some insights for doing business in Bahrain. 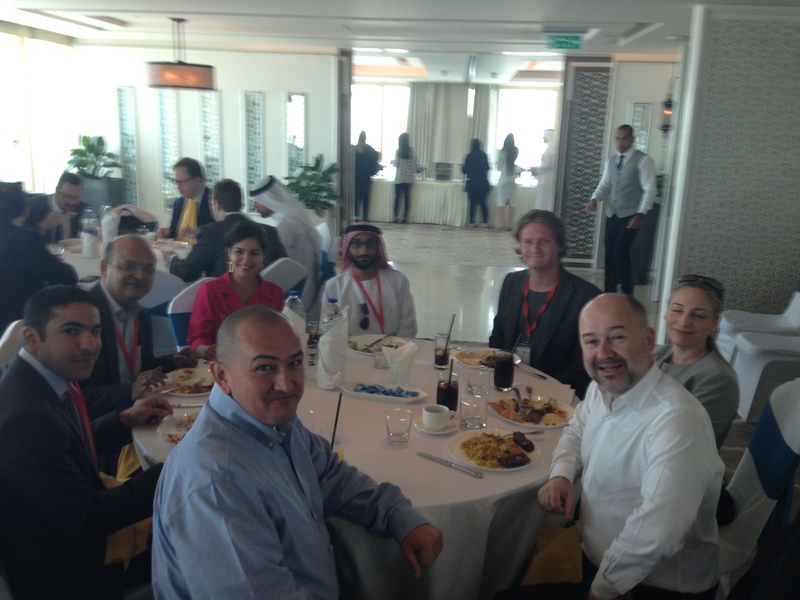 After meeting with entrepreneurs, it was time to have lunch on the 51st floor of one of the highest buildings of Bahrain. 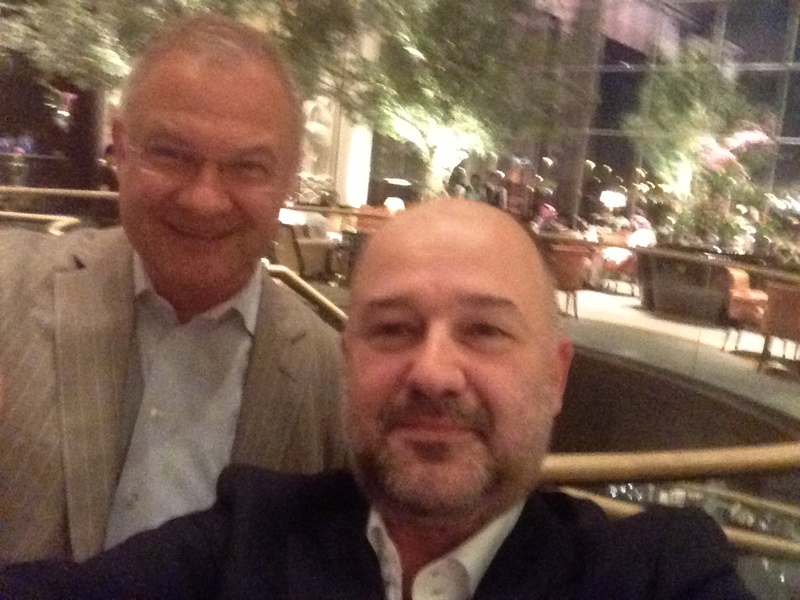 After the lunch, Peter Braun and I were taken to meet with the CEO of an important telecom company of Bahrain. 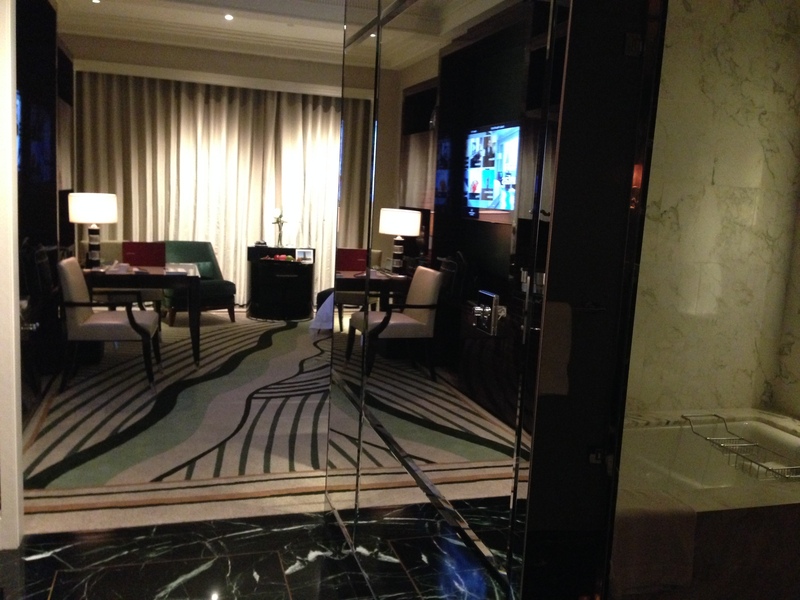 Following this short visit, we went back to the hotel. Arriving at the hotel around 3 p.m., Peter decided to go shopping and I went swimming. It was a wonderful 3 hours at the pool with a nice Gulf breeze and an Italian pizza with mozzarella. I read the magazines I had taken from the CEO’s room at the telecom company. I particularly enjoyed one article that featured the Innovation Minister of Nigeria, who I had met during my visit there last October. Now her picture was on the cover of the magazine and in her interview she was talking about the importance of angel investment. 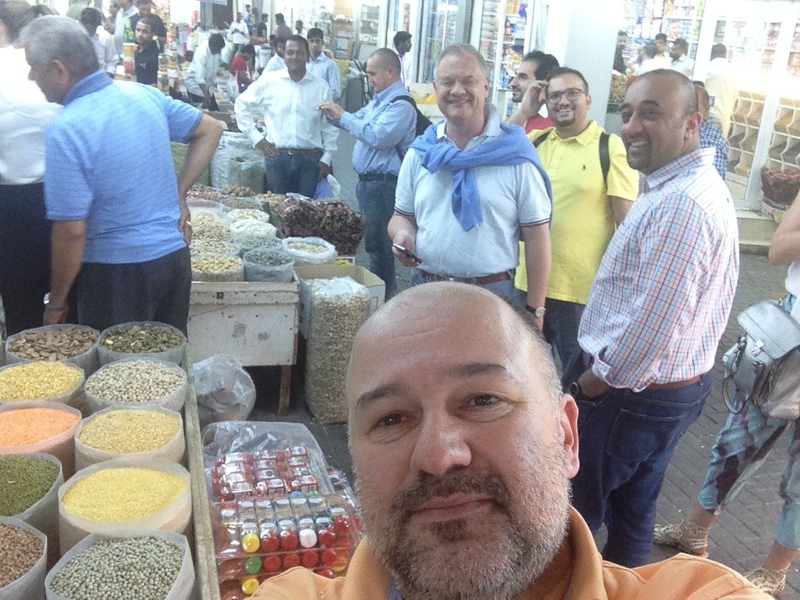 At 7 p.m. Hasan took our group to the Old Bazaar of Bahrain, where we could observe the local people going about their everyday business. The Old Bazaar of Manama is near the City Gate of the island and it looks like a smaller version Istanbul’s Spice Bazaar, where you can find hundreds of different spices. 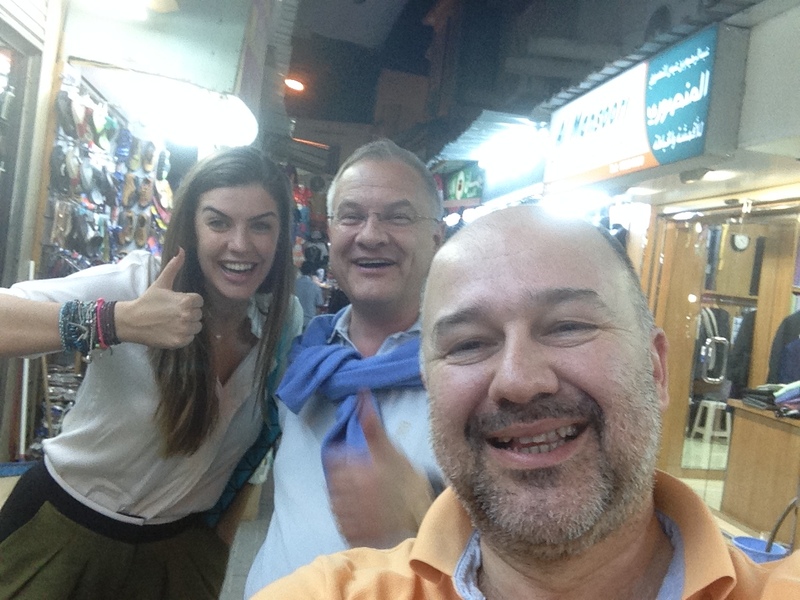 After this Bazaar visit, we had dinner in an authentic Bahraini restaurant, where we sampled traditional local cuisine. We were back at the hotel around 10 p.m. and after a short chat with Peter Braun in the lobby, I went t0 my room to prepare my bags. The 1.35 a.m. flight of Turkish Airlines took us back to Istanbul. 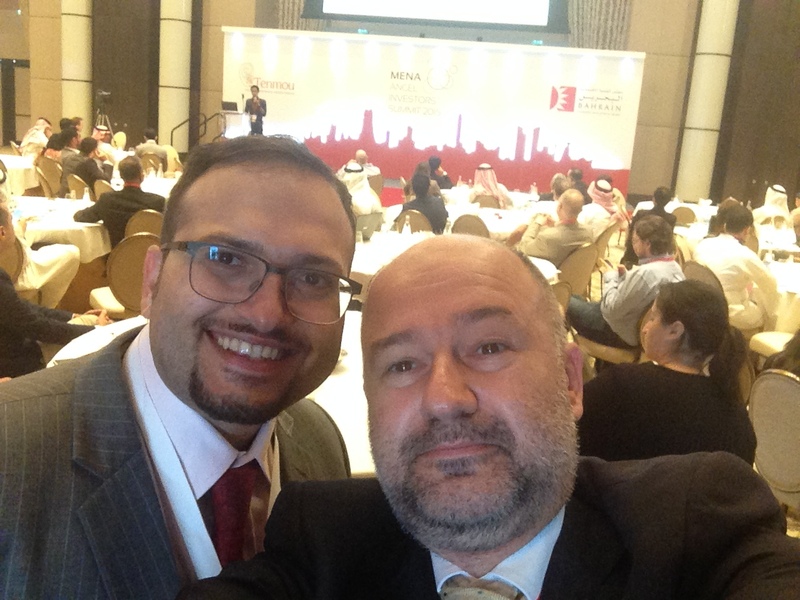 Thanks to Hasan Haider and his team at TENMOU and the Bahrain Economic Development Board, the MENA Angel Investment Summit was a huge success. We were able to listen to the pitches of approximately 40 entrepreneurs from the region. Most of them were ICT projects and needed seed funding. I am very pleased to have been a witness to how one entrepreneur (Hasan) put the whole country in the scope of the global angel investment market. 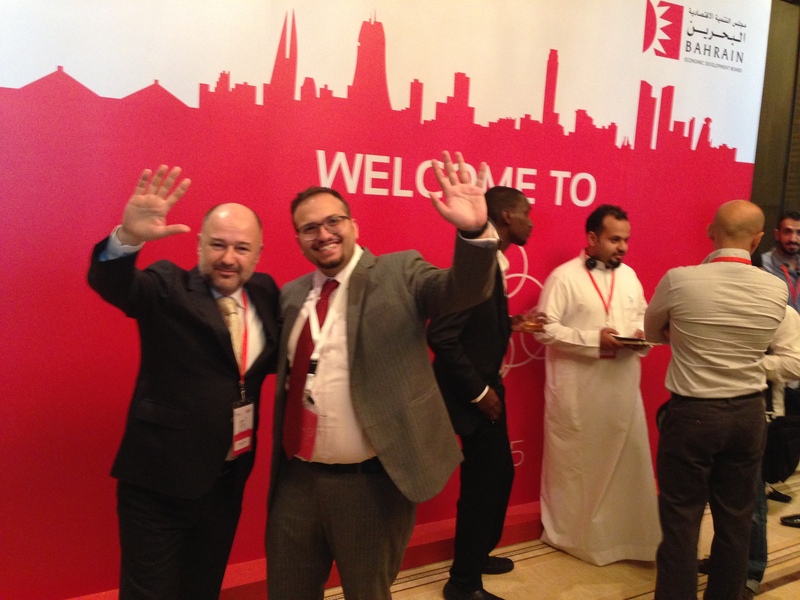 What Hasan is trying to do is very important for the future of the early stage investment market of Bahrain. Why? Because everybody will want to see successful exit stories in that market in the coming years. And Hasan is very aware of the fact that a successful exit is not possible without the involvement of global angel investors in Bahrain and the markets of the entire region. So connecting regional entrepreneurs and start-ups with global angel investors is the key to future success stories. Hasan, congratulations! We admire your vision and sincerely appreciate your efforts!